Random drug testing is used by many UK employers to deter the use or misuse of drugs and alcohol by employees in the workplace. There have been numerous case studies to show the effectiveness of random testing in reducing accidents, ill health, absenteeism, litigation etc, and consequently it is often considered best practice - particularly in safety critical environments. AUDIO: Information on Random Drug Testing for UK Employers - Click Play to Listen! Even if a company doesn't introduce full random drug testing, they often opt for testing when there is a problem - such as accident or incident based testing or "for cause" testing when there are reasonable grounds to suspect a person is unfit to do their duties due to drink or drugs. The frequency of random drug and alcohol testing can be determined by the employer based upon a number of factors, such as the nature of the business, demographics of their staff or factors relating to the culture of the business - e.g. a culture of lunchtime drinking. Some businesses conduct as little as 5% random screening (i.e. only 5% of staff are drug tested once per year having been randomly selected), whereas other businesses may insist that everyone is screened at least once per year or more. It depends upon cost, health and safety considerations and their own drive to enforce a drug free workplace. Drug testing in the workplace is relatively simple to put into place and can be implemented without much expense. Random drug and alcohol testing of employees can be carried out on-site for less than £10 per employee. All you need to do is write a drugs and alcohol policy - which is essentially the company's views on drugs and alcohol, what is acceptable, what isn't, and what are the consequences of breaking the rules - along with procedural advice. Many businesses have discussions with staff and union representatives to ensure that the policy was developed in consultation. If this process is too time consuming or too specialised for your staff, we can write your policy for you as consultants, or review your draft document to ensure that it is legally defensible and user friendly. Our long term experience really can make a significant difference to your policy and allows you to implement it swiftly. Once you have a finished policy document, it is time to issue a copy of this to your staff with an implementation date. As long as the policy start date is further away than their contractual notice period, when the start date arrives, the policy has become part of all employees' terms and conditions of employment. At that point, if it is your policy that staff undergo random drug testing or testing in accident / incident or "for cause" situations, then failure to comply constitutes a failure to undertake a reasonable request which may have disciplinary consequences up to and including dismissal. Ultimately, it should be every company's goal to remove the substance from the individual, rather than the individual from the workplace, so assistance for those who come forward to seek it is essential. To reinforce a random drug testing policy it is also wise to train managers in drug awareness so that they can recognise the signs and symptoms of abuse and know exactly how to deal with the situation should it arise. Most of our corporate customers opt for a half day training session for their managers. Visit our drug testing page or alcohol testing page for information on the products and services that can be used for employee screening or contact us for detailed comprehensive advice and a quotation to suit your requirements. So why choose Drug-Aware for your Workplace Random Drug Testing requirements? At Drug-Aware, we pride ourselves on providing a total solution when it comes to Random Drug Testing. So whatever your business, large or small, we have a package which will suit you. Contact us today for free information and literature, samples of our workplace drug testing products or for some free advice from a friendly expert! Free drug testing samples - so you can try before you buy. (Available to Companies and healthcare organisations rather than private individuals). Free literature - wallcharts, consent forms, procedures, technical data and more. Free rapid delivery (within the UK) - products despatched free of charge within 24 hours, unless otherwise notified. Free technical support - e.g. 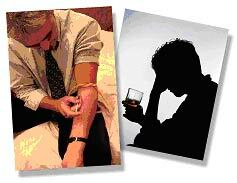 How long is alcohol detectable in the body? Procedural assistance, etc. Product guarantees - we operate a no-quibble refund or replacement scheme if the products fail to meet their specifications. Laboratory support - we offer the services of a UKAS accredited laboratory to conduct routine screening tests or to confirm the results of Drug-Aware products. Please contact us today for free product samples and assistance from a friendly expert on Random Drug Testing. For technical information on various drugs and more information relevant to drug testing, please visit our technical drug information section. For more information on the literature and accessories that we can provide to support our drug and alcohol testing products, please visit our testing accessories section. © Drug-Aware Ltd 2002-2012. Unauthorised duplication or use of material from this web site is strictly prohibited. ALL RIGHTS RESERVED. Drug-Aware, the Drug-Aware Logo and Your Partners in Patient Care are all Trade Marks of Drug-Aware Ltd.
Disclaimer - Whilst Drug-Aware Ltd has made every effort to ensure that all Random Drug Testing information on this web site is current and accurate, we cannot be held responsible for any losses, damages, costs and other consequences resulting directly or indirectly from using this site and any information or material available from it. To the maximum extent permitted by law, Drug-Aware Ltd excludes all liability to any person arising directly or indirectly from using this site and any information or material available from it.